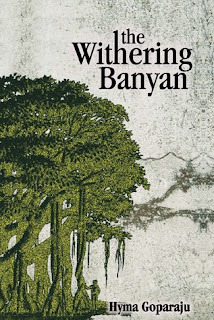 The Withering Banyan by Hyma Goparaju is a perfect example of Social and Domestic Novel. Being a debutant, she has written this full length novel beautifully. The way she has expressed her thoughts and the use of rich vocabulary makes it strong and gripping. Cover- The cover of the novel is beyond perfect as it has a Big Banyan Tree that justifies its title as well as the theme. Title- The title is suitable as the whole story and the scene takes place around the Banyan Tree. Plot- Hyma has constructed a gripping and solid plot. The story revolves around Natya and Badrinath , who seems to be the protagonists of the novel. The way they handle their lives and people associated with them is intriguing. Badri's disease and Shradha Devi's disease are same and the way these two are connected by a secret is beautifully shown by Hyma. Characterisation- Hyma has phantasmagorically handled her characters. There are round as well as flat characters in the novel. Natya remains flat throughout the novel while Badrinath undergoes a change in the middle of the story. 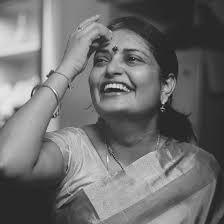 Sundar, Som Uncle, Siveswara, Balaram, Kanakamma also play a vital role in the progression of the story. There are other minor characters who play significant role in the story. Theme- There are varieties of themes in the novel. Schizophrenia is the main theme. Badrinath is the second inheritant of the disease after his grandfather and later on, the disease is passed on to his son Som and daughter, Shradha Devi, further the symptoms could be noticed in Pranati. 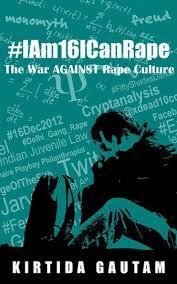 These people are mistook as mad people and the way their families are affected due to their disease could be seen. The other theme is the Domestic theme. Hyma has beautifully highlighted the domestic environment of a family where they live together jointly and then series of events take place in their lives. It is basically the rise and fall of MArri Family which HYma has showcased. Further, it talks about Independence and the way Badri and Sundar reacted to the developments is another segment of the novel. Technique- The story moves in flashback technique. The chapters have present and past. The setup is amazing. The novel is written in third person narrative and has an impersonal description of things. Style- The language is figurative, complex and has many jargons in it. It sometimes confuses the readers. Further, it has variety of sentences ranging from simple to complex to compound. The author has used metaphors and the use of poetry is the main highlighter. Even a normal man can learn from different vocabulary used in the novel. My Observation- In my opinion, it is a perfect novel as a debutant as it has all the things that is required in an ideal novel. The use of poetry and prose is an icing on the cake. The variety of themes makes it attractive. Availability- The book is available on goodreads, amazon.in, kindle edition and many more.